As the current standard of care for abdominal aortic aneurysms (AAA), endovascular aortic repair (EVAR) offers non-surgical placement of a vascular graft to allow blood flow to bypass an aneurysm sac. Over time, EVAR has higher rates of reintervention than open surgical repair of the aneurysm – both the EVAR-1 and DREAM trials show rates twice as high as open surgical repair. The high secondary intervention rate reduces the long-term benefit of EVAR to both the patient and the overall healthcare system. 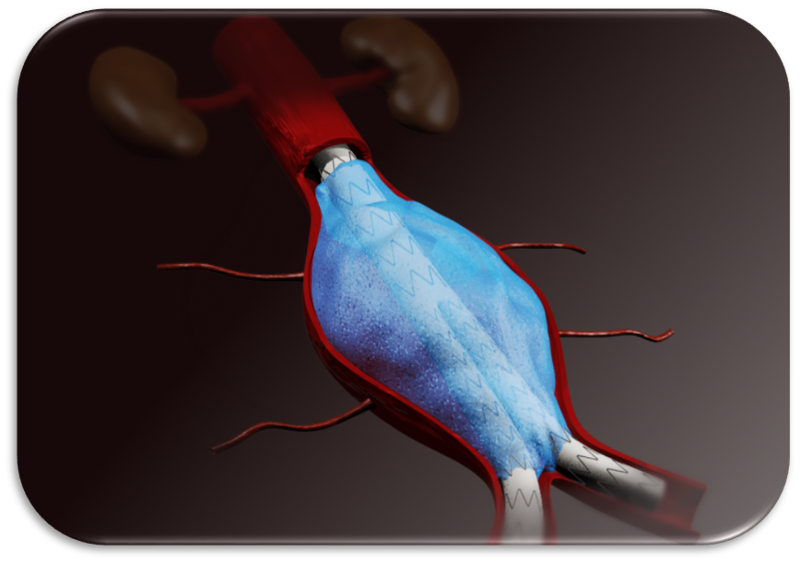 Arsenal Medical is developing an in-situ curing elastomeric polymer material that fills and seals the aneurysm sac around a stent graft (figure below). Treatment occurs during the same procedure as graft placement. The material is designed to flow around the graft and cure into an elastic solid. Filling the sac seals off branch vessels that can cause aneurysm expansion, enhances graft seals to minimize endoleaks, and stabilizes graft position to prevent migration. The procedure aims to build on the performance of clinically proven stent grafts by preventing Type I, II, and III endoleaks and reducing or eliminating the need for long term surveillance and the associated radiation exposure.